On May 31, 2018, Finnovation Kenya set up its offices at the Radisson Blu in Nairobi, Kenya. The day brought together over 200 experts in the fintech industry and investors. There were also pioneers, entrepreneurs and leading bankers from Africa. The groups come together to discuss the revolution in the fintech. The target was to increase economic priorities like financial deepening and inclusion. Furthermore, they were to look at how the sector can have a beneficial and positive influence across the continent. It also looked at how financial institutions and banks are handling the issue of digital transformation of financial services in Africa. Moreover, it looked at how the financial institutions and bank’s digital innovations are being revolutionized due to the high momentum of the fintech disruptors. The role played by payments, mobile money, blockchain, and open banking innovation are reshaping the financial services scene. This comes at a time when fintech disruptors pose a threat to the African banks to come up with new opportunities. African financial services sector is so productive for fintech lovers who are maximizing the opportunities to overtake the existing business models. This will offer them a chance to make financial services more accessible, profitable and affordable in Africa. Finnovation Kenya 2018 saw the attendance of some renowned speakers. 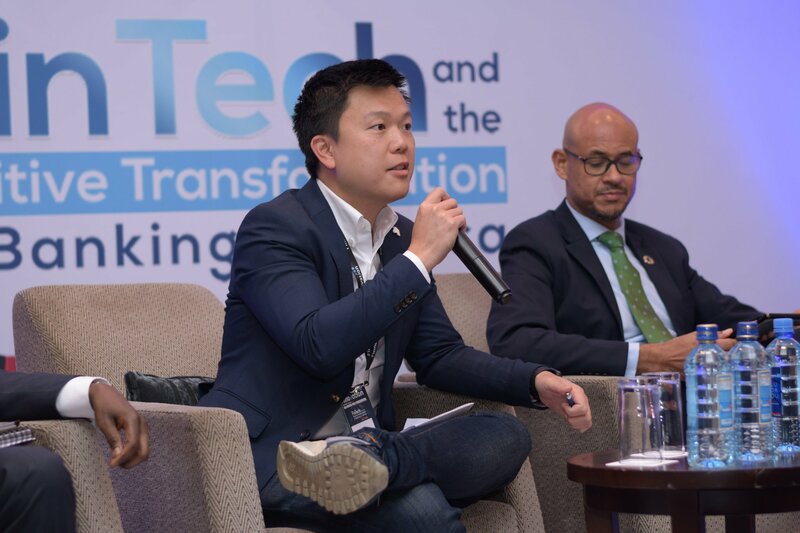 They included MyBucks’ executive chair and founder Dave Van Niekerk, Paul Muthaura, the CEO of Capital Markets Authority Kenya, MEST’s managing partner Aoron Flu, Barclays Bank Kenya Ltd’s MD Jeremy Awori, and Afrinet Capital’s co-founder Declan Magero. The opening keynote event will give the needed direction on establishing the role of investors, multilateral agencies, government policymakers, investors, banks, the private sector and fintech investors to improve the African fintech sector. According to Niekerk, the world’s microfinance, credit, and retail banking scene have been waiting for revolution for long. The high change together with financial inclusion at the place is giving it the proper direction. He added that the fintech innovations are ensuring the distribution of financial commodities at competitive prices. All this helps in high speed scaling up and also manage well the risks that come along with credit. The current financial institutions will not have any other alternative. They will be forced to embrace the technology. This will help them to get clients, maintain clients, tell risk. It will also help them to narrow the wide gap between traditional finance organizations and fintech. He said that the event would offer a great platform for trailblazers and startups to learn more about the sector. It will also allow the pioneers of finance from across the continent to learn from one another. Muthaura also shared out his thoughts about the event. He said that Kenya had been recognized globally for its role in the fintech innovation. Some key players have looked up to Kenya where it has managed to build outstanding capabilities like mobile money. He added that the country has managed to develop supporting infrastructure. The country is also improving its regulatory policies. This is aimed at fostering fintech innovation and gives a new phase to the capital market activity. According to Muthaura, the authority has made a great milestone in its quench of putting in place Regulatory Sandbox. This will help offer a conducive environment for the transition of the innovative ideas into the regulated scene. PwC South Africa’s leader of blockchain and fintech Paul Mitchell said that both old and new players of financial services in South Africa have positioned themselves ready to maximize on the opportunities to develop innovative solutions and lead the impact of fintech in the continent. He added that the move could make more tangible impact and contribution that what is currently going on in Europe and US. There is a rapid change in the behavior of customers and what they expect in the interaction between them and financial services firms. Fintech is playing the main role in these changes. He finished by saying that he is looking forward to attending the event and interact with thought leaders and fintech pioneers. He will get an opportunity to discuss the South African challenges on the digital transformation of financial services. The climax of the Finnovation Kenya 2018 came during the Leader’s Dialogue Live! in conversation with An African FinTech Pioneer. The session gave an opportunity to get the first-hand information and fresh ideas in the fintech sector. The session brought on board Jeremy Awori. He talked much about the innovative potential of African financial technology. He said that the fintech industry is revolutionizing the financial services environment across Africa. He added that the high growth in the use of financial technology is offering a platform to ensure payments and raise access ensuring relocation to digital financial services. Colin Don Schouw, MD of the South African based Fixer Group, was the session moderator. The session went on the whole day bringing on board fintech pioneers and bankers. The groups discussed various issues like blockchain, which included Collaborate2Accelerate, Silicon Savannah Kenya, and Hype to Reality in Africa. Additionally, it had high profile speakers like FSD Kenya’s head of digital innovation Tamara Cook, Microsoft4Africa’s chief technology officer Ryno Rijnsburger, VISA’s East Africa general manager Sunny Walia, Co-operative Bank of Kenya’s head of digital banking experience Russell Akuom. The event’s post-lunch program focused on getting and engaging the young fintech entrepreneurs from Africa. Silicon Savannah Kenya pitched the great innovations that are currently going on in Kenya which included Make-IT in Africa, Asoko Insight, Bonyo Mwongola & Co. Advocates, Musoni System and Pezesha. The event was brought to an end by a session from Wolves Den. The session lived to its expectations by bringing on board a panel seating in for African fintech pioneers and Investors or Venture Capitalists. Trailblazers of fintech Microcap, Flexpay, Tozza Plus and Grass Roots Bimaall showcased their presentations. The session saw Wolves asking critical questions and offered the illuminating information during the closing remarks. The event is part of the Fintech Africa Series that brings together leading influencers and stakeholders in the African fintech industry. This is all the way from banking powerhouses to startups from leading markets across the continent.